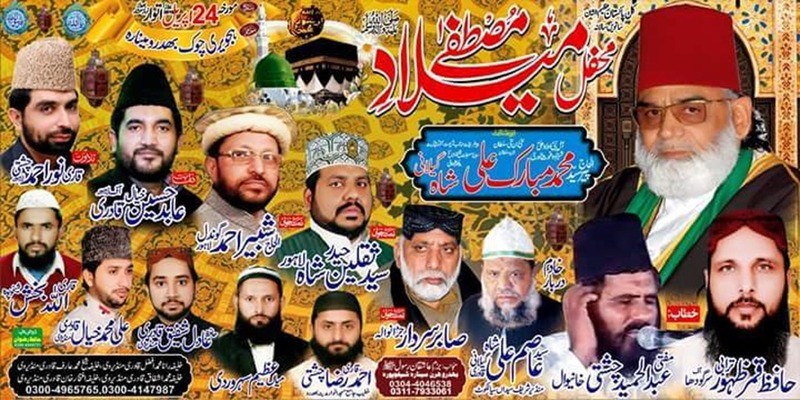 Paygham-e-Mustafa Conference. Daily City 42 News. Pictures of Paygham-e-Mustafa Conference (19-04-2016), held under the supervision of Pir Syed Abdul Qadir Gilani, are published on page 11 of Daily City 42 News (Lahore). Pir Syed Muhammad Mubarak Ali Gilani also attended the conference.. The page is also attached below. Click the image to enlarge. Monthly Sohney Mehrban (Rajab-ul-Murajjab 1437 i.e. April 2016) is available in pdf format. To read/download, click here.